That’s right, mr.play has qualified for a chance to win the best new casino 2018. 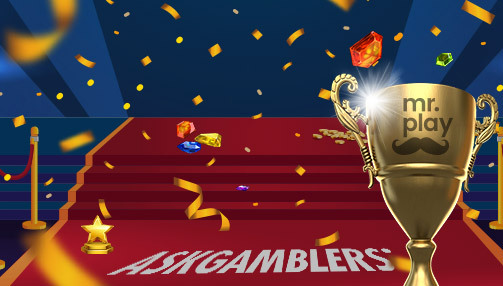 Hosted by AskGamblers, mr.play is in contention of winning this remarkable achievement within its first year. The casino has caught the eyes of thousands of players, along with countless affiliates and industry leaders. Join us as we vote for mr.play as the best new casino 2018. Together we can make history and win this prestigious award together. With so much to look forward to in 2019, let’s really start of the year with a bang, and a brand new accolade for the youngest casino taking the industry by storm.